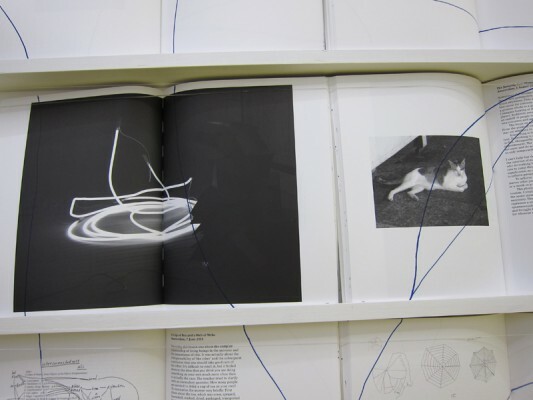 A Glass of Water (Some Objects on the Path of Enlightenment) Artist’s publication/Roma publications. 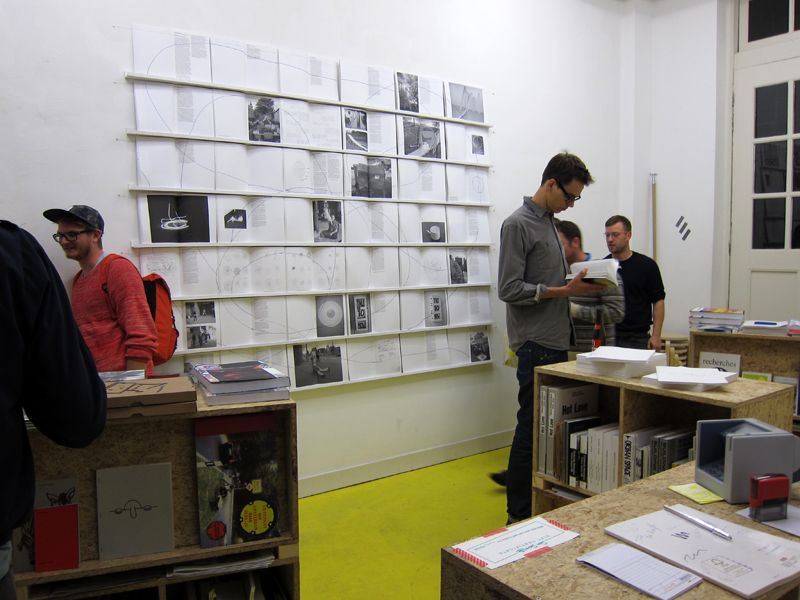 Book presentation/ installation at San Seriffe, 19 september, 2013. 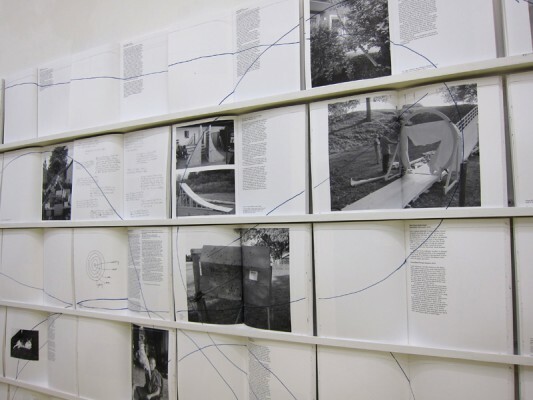 Roma Publications is presenting a new publication by Saskia Janssen under the title A Glass of Water (Some Objects on the Path to Enlightenment). 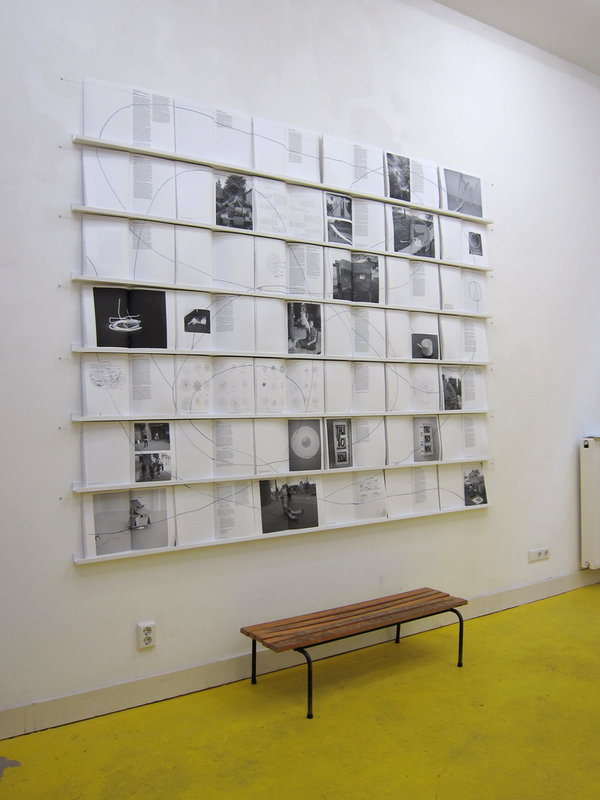 The book has been created over the last three years in response to the lessons about Buddhism that Janssen has been attending every week at the temple – housed in the cellar of a sunbed salon – of a small Buddhist community in eastern Amsterdam. 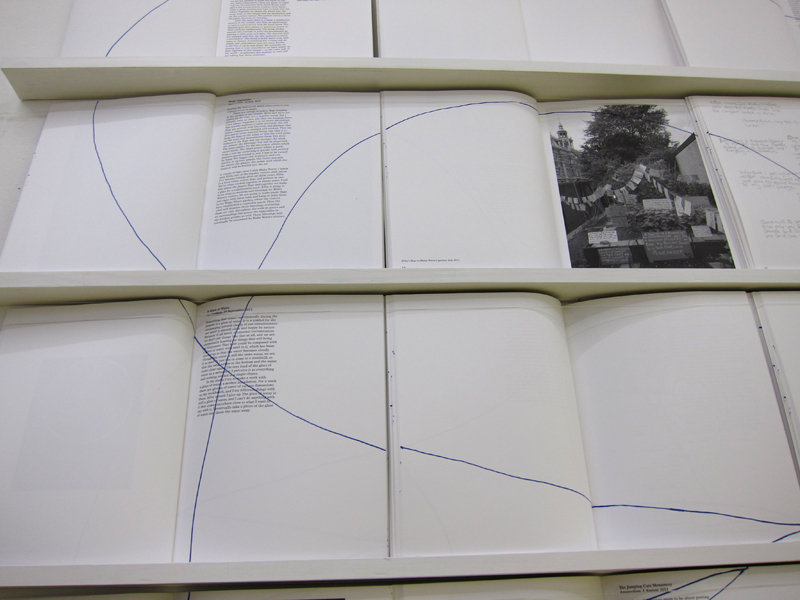 During these lessons and the lectures and rituals conducted by visiting lamas, Janssen takes notes and makes sketches. 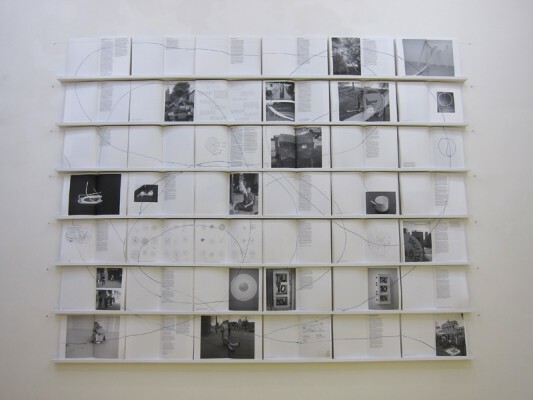 Once back in her studio, she turns them into drawings, photos, sculptures and texts, thus transforming the lessons into works or revisiting existing works from a new perspective. In doing this she follows a self-imposed rule: no depictions of Buddha, no exoticism. For her the crux is the transformation from concept to work and the shift in perspective. A Glass of Water is a tangential sequel to Blaka Watra Spiders, which was the result of Janssen’s encounters at the Blaka Watra walk-in centre, a space for long-term users of hard drugsin Amsterdam. There Janssen’s focus was on encounters with strangers, but here it is about an encounter with the great unknown. The two locations and their populations could hardly be more different, but in an extraordinary way there is also an overlap: both offer a different view of the world around us, provide more space to think and a greater capacity to place things in perspective.